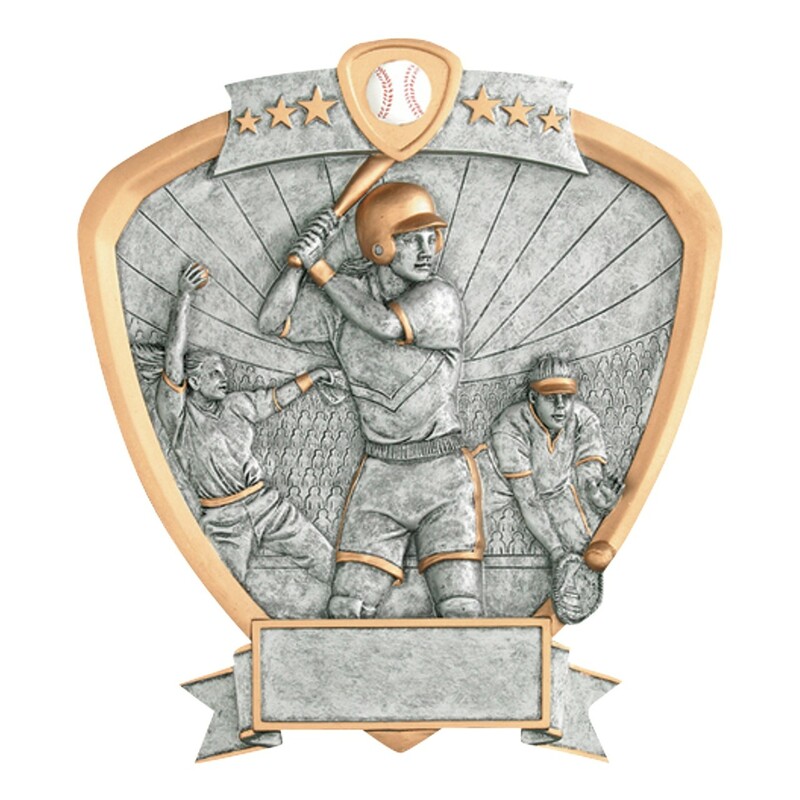 Shaped like a shield, secure your top position with this astonishing softball team award. 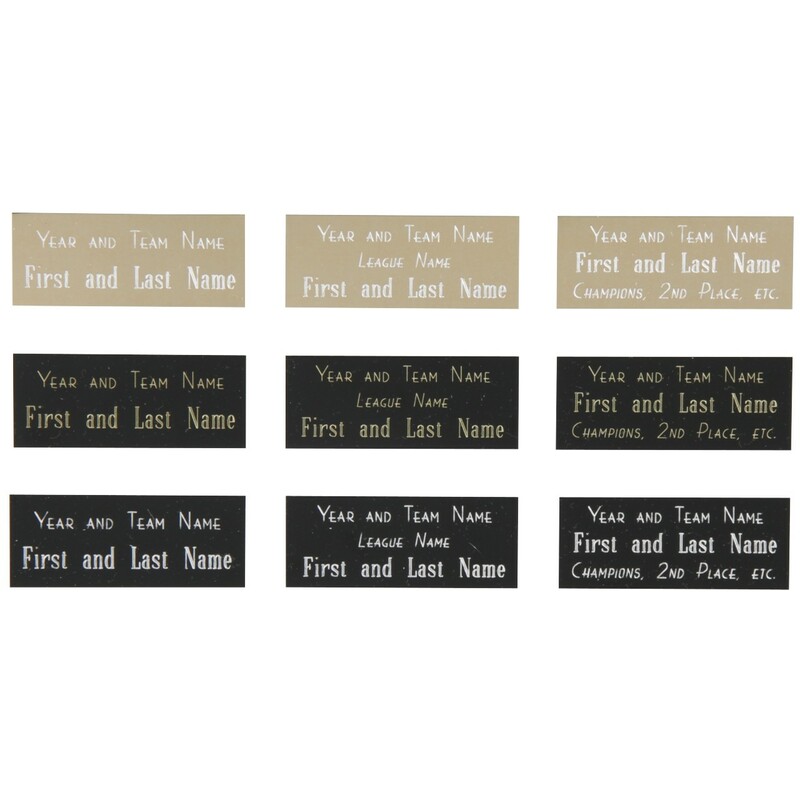 An intricate resin award done in stunning pewter with gold highlights, this award shows female softball players in three different action poses set against a bleacher background. The Female Team Shield Softball Award will look charming on any wall or surface.